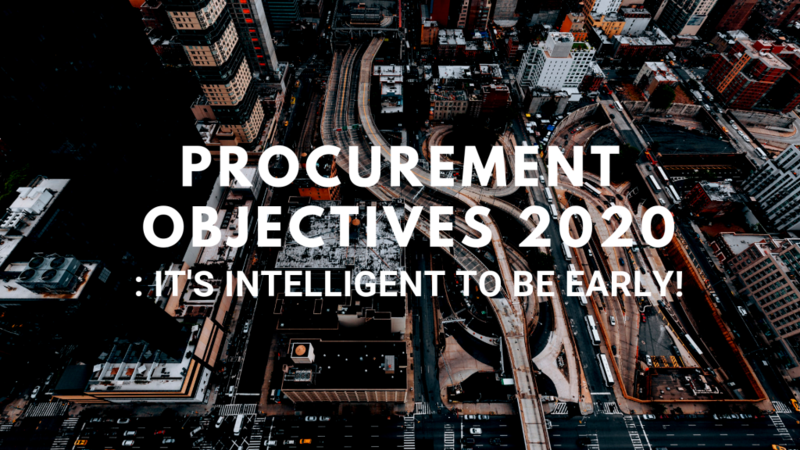 Procurement Objectives 2020: It's Intelligent to Be Early! A whitepaper by Gartner titled, “Procurement 2020: Your Action Plan to Prepare Now,” discusses 5 procurement objectives that are to reshape procurement function by 2020. 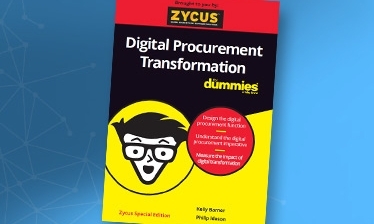 If you haven’t reviewed the suggestions yet, then it is time you define your procurement objectives now as 2020 is just 11-months away. It’s considered silly if you are the first to join a celebration party but absolutely intelligent if you rank first in procurement. If so far Cost Savings and Risk Mitigation have been the two major value drivers, in 2020, they will be replaced by new procurement objectives; Speed of Execution with Business Insight. Procurement will run on new technologies with increased focus analytics that would generate insights (supply market, supplier performance, and business buying behavior) for officials to take relevant action. The shift in this objective from Cost Savings & Mitigation to Execution Speed & Business Insight implies leveraging procurement insight about spends, suppliers, and markets to identify new sources of value generation. Procurement as a business function will benefit from centralized data repository for accelerated execution while continuing its apex role in supplier relationship and risk management. The second procurement objective will be the change of its role from being a Sourcing Executor to being a Sourcing Advisor. At present, if an organization’s procurement wing is limited to sourcing as instructed, by 2020 and thereof, the procurement wing will assume full responsibility as sourcing advisory with focus on top-, mid-, and low-tier buys. This shift discussed would ensure that the department delivers more high value work than mere transactional deliverables. This will develop process expertise and skill to train new people asset. The Gartner report informs that category managers, particularly, will enjoy responsibility of focusing on top-tier purchase while developing newer strategies in category management. The third change in paradigm is that of the role businesses are to play. So far the procurement function has been a mere customer to fulfil business requirement. But going forth, this is to be replaced by a newer procurement objective wherein procurement will act like a disciplined sourcing agent to its business partners. This entails greater responsibility in making the right sourcing decision, ownership of consequences, and vendor relationship management. From the point of understanding the implication of this objective on the overall business, it is envisioned that procurement will expand and implement its training capabilities for assisting business partners source better through proper evaluation & monitoring of a sourcing. The fourth procurement objective is a transition; from standalone corporate function to hybrid center of excellence wherein the category managers will involve in major purchases while the remaining procurement would provide purchasing assistance to the business. This new delivery model implies less transactional work and increased business-partner management. This implies greater focus on process excellence than limiting to category knowledge (current objective), and enforcement of sourcing discipline. The final procurement objective for 2020 will be an eclectic mix of most resourceful advisors and world class technology focused on customer delight. To achieve this, organizations need to invest in their human capital and in technology that is smart and intuitive, and has the intelligence to query deciding figures from a mine big-data. Great technology will substantially improve customer’s purchasing experience. To onboard such human and technology resources, organizations should have strong budget allocation which requires preparation from now on. Professionals with analytical skill set will get expensive and this, if not prepared in advance, may adversely affect the headcount. From the technology point of view artificial intelligence will lead the business along with virtual supply rooms integrated with e-catalogues. Linda Ashok is a content, communications, & branding professional with 12 years of work experience in BPO, Banking, Payroll, Robo-Advisory, Internal Communications and Social Media. She is interested in how businesses perform at the intersection of Big Data, AI, IoT, and other emerging technologies.